Lindamood-Bell is proud to participate in conferences worldwide. We are honored to share our research from over 30 years’ experience in education. We believe that all children and adults can learn to read and comprehend to their potential. Let’s DREAM BIG together. See below for a list of upcoming conferences. Lindamood-Bell will be presenting at the First Annual AMF National Conference: Be Someone’s Missing Puzzle Piece taking place April 24-25, 2019, in St. Louis, MO. Come hear what we have to say about the Imagery-Language foundation and the importance of comprehension in learning! Lindamood-Bell will be presenting at the Urban Collaborative Special Education conference in Pittsburgh, PA taking place from May 1-3, 2019. Lindamood-Bell will be presenting at the The Early Childhood Commission’s 1st Annual Professional Development Institute in Montego Bay, Jamaica taking place from May 21-23, 2019. 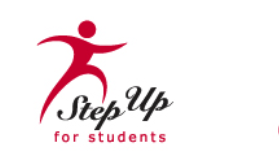 Lindamood-Bell will be presenting at the Step Up for Students conference in Lakeland, Florida taking place from June 20-21, 2019. Lindamood-Bell will be presenting at the CEC Division of International Special Education & Services International Conference in Montego Bay, Jamaica taking place from June 26-28, 2019.